Things are not well for the DSM housed People Daily, where Hudson Wainaina seats as the head of photography department for Kenya’s free newspaper. 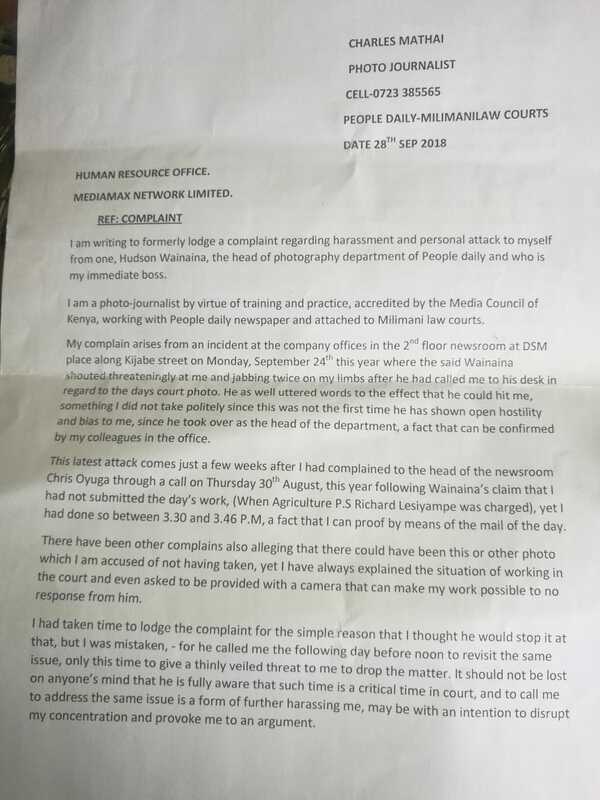 Wainaina is accused of mistreating a photojournalist attached to the paper, Charles Mathai, who works at Milimani Law Courts. 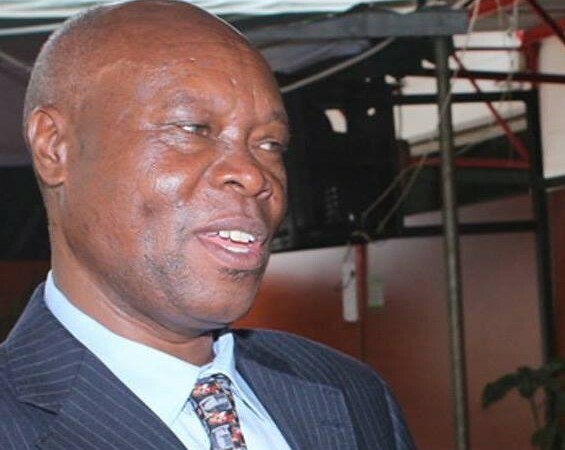 In a letter to the Human Resource office seen by Kahawa Tungu dated September 28, Mathai says that Wainaina threatened him to an extend of exercising physical violence against him. “On Monday, September 24, the said Wainaina shouted threateningly at me jabbing twice on my limbs after he had called me to his desk in regard to the day’s court photo. he as well uttered words to the effect that he could hit me, something I did not take politely since this was not the first time he has shown open hostility and bias (against) me,” says Mathai in the letter. This is not the first time Mathai is complaining of mistreatment from his chief concerning work matters. On August 30, Mathai received a fair share of Wainaina’s bile accusing him (Mathai) for not submitting the day’s work, but had submitted. Things got murkier when Mathai reported the matter to the head of newsroom Chris Oyuga. The next day, fierce Wainaina threatened Mathai to drop the issue. Mathai viewed this as a way of cowering him, or a way of disrupting his concentration from work and provoke him to an argument that could lead him to losing his job. This is not the first time the former Standard photojournalist is harassing his juniors. Insiders say that he harassed another male photojournalist who was contemplating quitting, but the intervention of his colleagues saved him. We could not name the journo for lack of consent. Wainaina joined People Daily from Standard, where he was at one time appointed the head of photography in an acting capacity. A former colleague at Standard terms him as a lone ranger, who never valued relations hence his true character could not be well demystified. Psychology states that mostly lone rangers are people who have faced exclusion and rejection at some time of their life. In social settings, this fuels their hostility and rage.